Mickelson was at his best on a course he loves. He drilled a 7-iron into 8 feet on the par-3 17th and made par, then played conservatively up the par-5 18th and finished with a 6-foot birdie for a three-shot victory. He matched the low score of the final round while playing in the last group, turning a three-shot deficit into a three-shot victory. 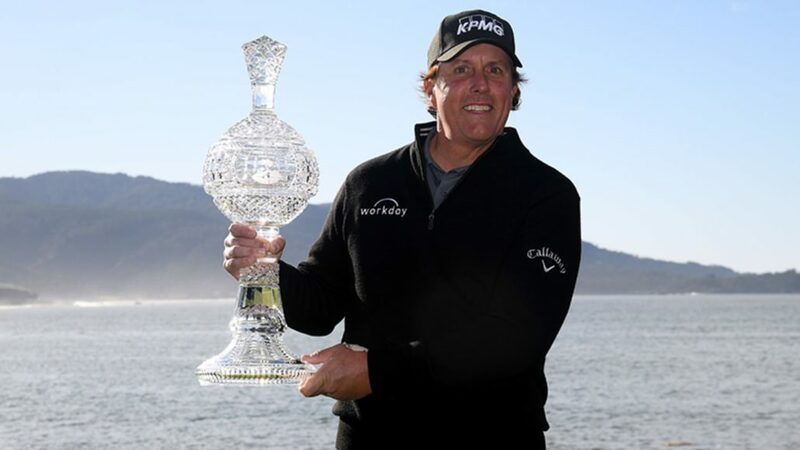 Mickelson never came close to making bogey, and won for the 44th time on the PGA TOUR. He finished at 19-under 268 and joined Tiger Woods as the only players to surpass $90-million in earnings. Even so, it was the fourth time Casey took a 54-hole lead of at least two shots into the final round on the PGA TOUR and failed to win. There wasn’t much he could do to stop Mickelson, who at age 48 looks just as tough as when he won his first PGA TOUR event in 1991 while he was still at Arizona State University.